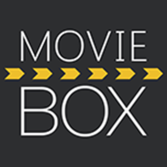 Description MovieBox offers the latest movies, TV shows, and music videos. MovieBox lets you sort by genre, rating, or year. The video can be viewed or downloaded on low, medium, or high (HD) setting. Users can also watch the trailer before committing to the full length feature. MovieBox is compatible with iOS 8.2 and older versions. Your device does not need to be jailbroken to install the app. MovieBox is the ultimate media app to watch/download HD movies, TV shows, and music videos.